Fully Equipped Housekeeping Cottages spaced out along the shoreline of the beautiful Pickerel River in Port Loring, ON. Pine Grove Resort specializes in Cottage rentals from 1-3 weeks May -November. Shorter stays of 2 or 3 nights are also possible in the shoulder seasons of Spring/Fall. Looking for a seasonal retreat? Please contact us to discuss. Each Cottage is fully equipped with hot/cold drinkable water, 3 or 4 piece bath, fully stocked kitchens with cooking utensils, fridge, stove, microwave, electric heat, wood stove or fireplace, toaster, coffee maker, kettle, etc. The beds are Simmons Beauty Rest. All cottages have an outdoor gas BBQ. * Linens/towels are extra & provided upon request for a fee. #1 Cottage is a 2 bedroom cottage that sleeps 4, overlooking the beach/dock area. #1 has its own private picnic/lawn area located beside the cottage with water views. One bedroom has a double bed, the second bedroom has 2 single beds. This cottage has a small deck with BBQ. ​NEW!! Screened Porch overlooking the beachfront area. * located near the parking lot, but with a fairly steep path to the cottage. #2 Cottage is the oldest cottage on the property and has a rustic charm. This large open concept 3 bedroom cottage (sleeps 6) is located directly in front of the beach, and is great for families or anyone who likes to be very close to the water & all of the action. 2 bedrooms have double beds, 1 bedroom has bunk beds. ​This cabin has a large screened porch, and a side deck with BBQ. 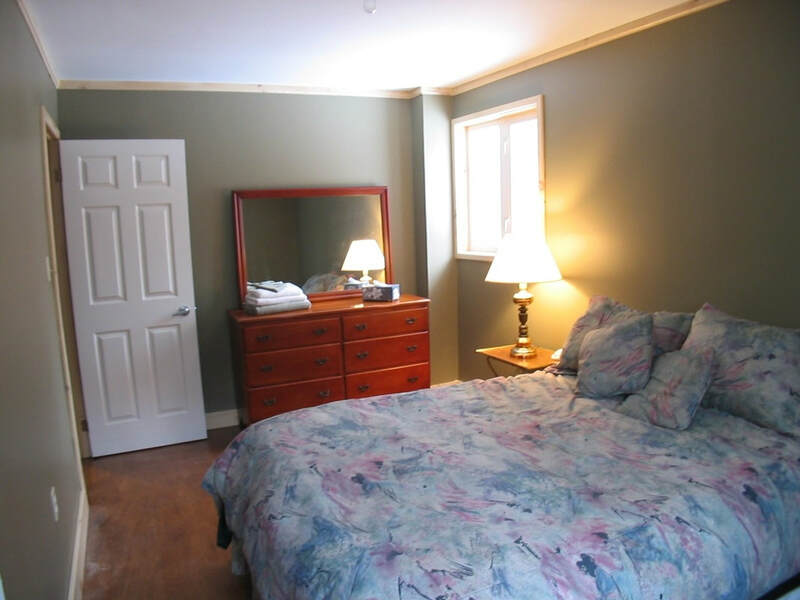 #3 Cottage is a small 2 bedroom, (sleeps 4) with a large screened porch overlooking the Pickerel River. Each bedroom has a double bed. This cabin is located steps from the main lodge/office and the path to the beach. It is possible to drive up to this cottage to unload. #4 Cottage is a large open concept 3 bedroom (sleeps 6) One bedroom has a double bed, the other bedrooms both have 2 single beds. This cabin has a large screened porch and a deck with BBQ. It is possible to drive up beside this cabin to unload. Set slightly back in the trees, still with a view of the Pickerel River. #5 cottage is a 2 bedroom, (sleeps 4) with a small screened porch overlooking the Pickerel River and a deck with BBQ. One bedroom has a double bed, and the second has two single beds. It is possible to drive close to the cottage footpath to unload. #6 cottage is a 2 bedroom (sleeps 4) with a large screened porch and a deck with BBQ. One bedroom has a queen bed, and the second room has 2 single beds. This cottage overlooks the beautiful Pickerel River. To unload you drive near the cottage and walk up a slight hill to the cottage. 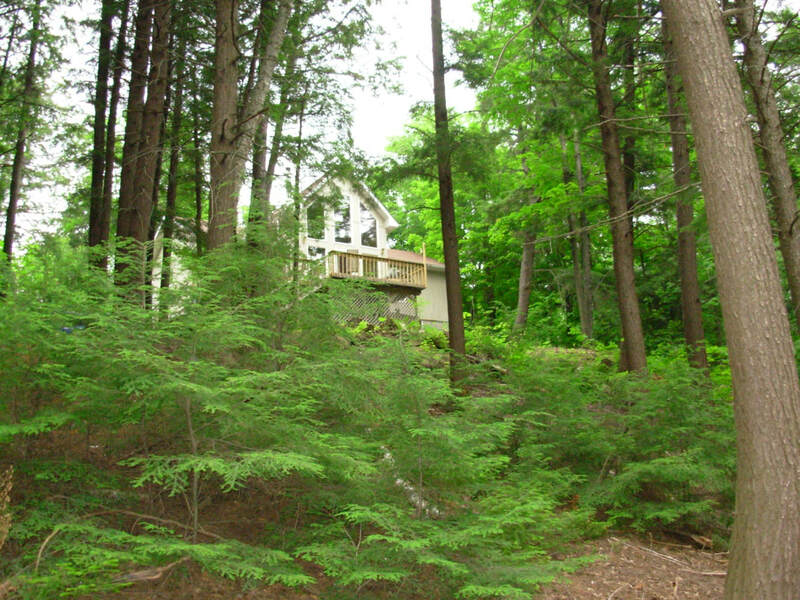 #7 cottage is a 2 bedroom (sleeps 4) with new large screened porch & a deck with BBQ. This cottage is nestled in the trees near the boat launch and overlooks the Pickerel River. One bedroom has a queen sized bed, the second room has 2 twin beds. ​You cannot drive up to this cottage to unload. You park near #6 and walk on a path with stairs to the cottage. #8 cottage is a small 2 bedroom (sleeps 4) at the boat launch area, overlooking brilliant sunsets of the Pickerel River. This cottage does not have a screen porch, but it does have a deck with BBQ and private seating area outside looking down the river. Drive to the boat launch area and walk up a small hill to unload. The Mini Cabin is perfect for single travelers or for couples. This tiny cabin defines "Glamping". Built on a small footprint in the campground area, this fully equipped cabin comes with all dishes/cooking utensils, fridge, microwave, toaster oven, coffee maker, kettle and 2 burner cook- top. The Mini has a 3 piece bath and sleeping loft with a Queen sized bed, living/dining area with electric heat and electric fireplace. There is a screened porch, outdoor fire pit and BBQ. parking for 1 vehicle beside the cabin. *The mini is not located on the water, but is steps away. The Farmhouse is a 2 bedroom, plus sleeping loft that (sleeps 8). One bedroom has a double bed, the second room has 2 single beds and the sleeping loft has 4 singles. It is located on a large piece of acreage that includes "Dog Patch" our just for fun dog agility course. The Farm is 1.5 km from the main part of Pine Grove and not located on the water. Our hiking trail system connects to the farm property. 4 piece bath, fully equipped kitchen with all dishes/utensils and an outdoor deck with BBQ. Satellite TV, telephone. Outdoor picnic area and fire pit. The Chalet features an open concept kitchen and dining area, living room with free standing wood fireplace, two bedrooms with queen sized beds & spacious closets, a large sleeping loft with twin beds and a 4 piece bathroom. Free WiFi & Satellite TV. Outside there is a large deck with patio furniture and gas BBQ. The Chalet is a 4 season rental, and the preferred accommodation for honeymoon couples. We have 3 campsites at Pine Grove. *These are not located on the water. All sites have a hydro outlet, and a tap with cold water. Outhouses close by. *No showers or flush toilets. 1 site is suitable for a small trailer, the other 2 sites are tent only. Parking for 1 car at each site. We do have firewood on site and ask that campers respect fire bans (If any) & campground rules. 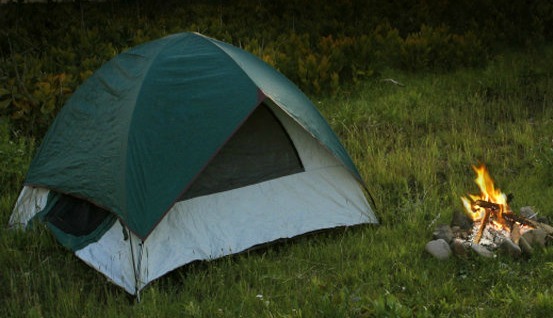 ​No "Drop Ins" Reservation required to camp.